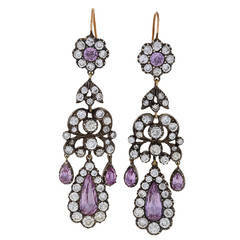 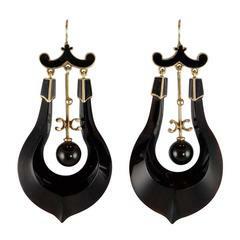 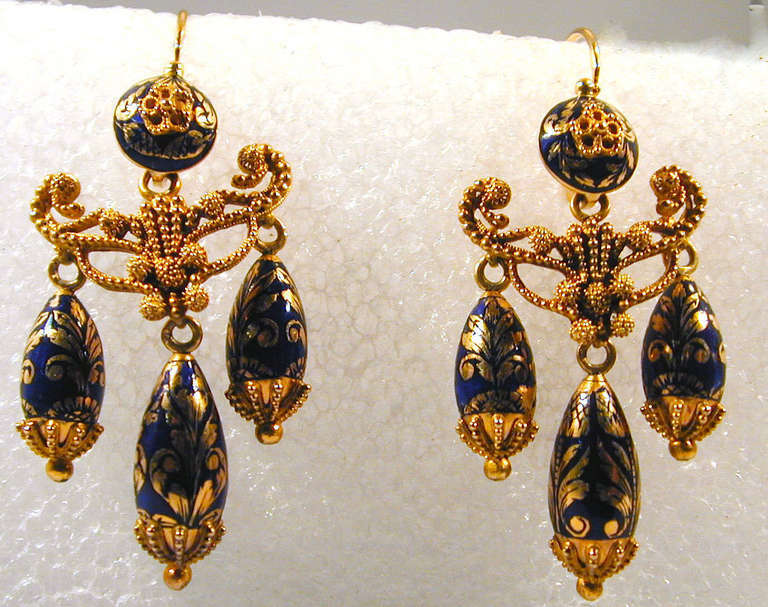 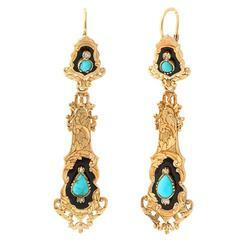 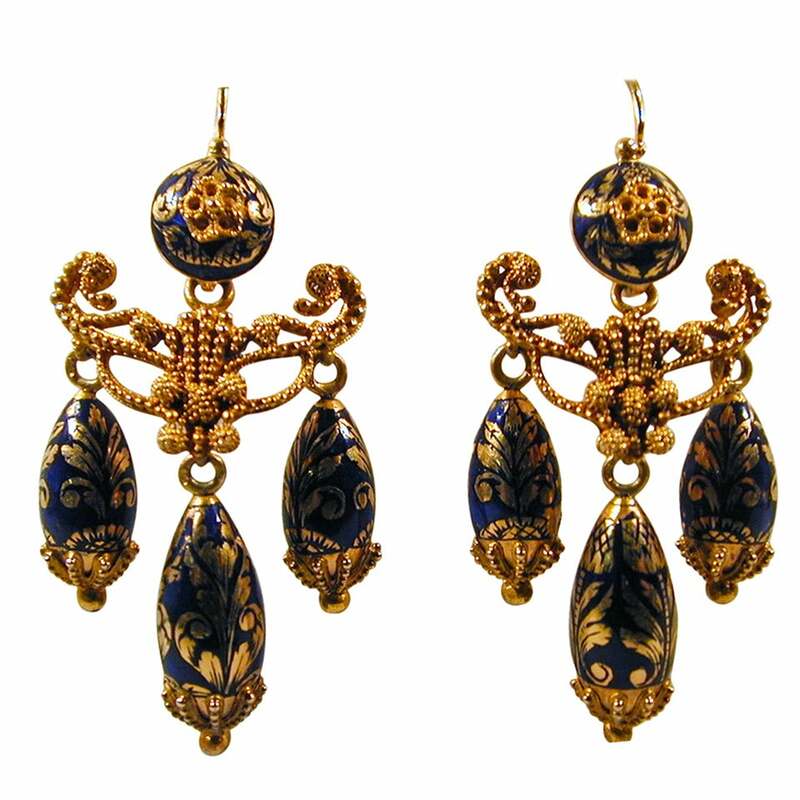 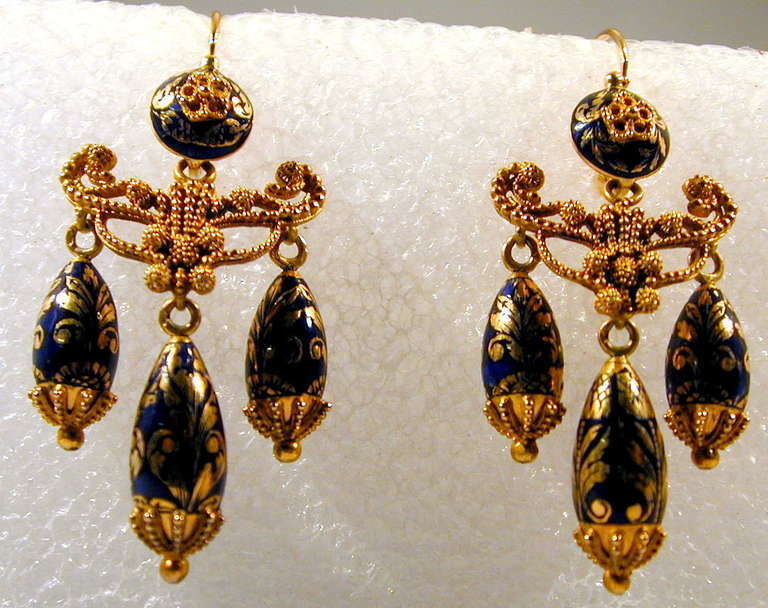 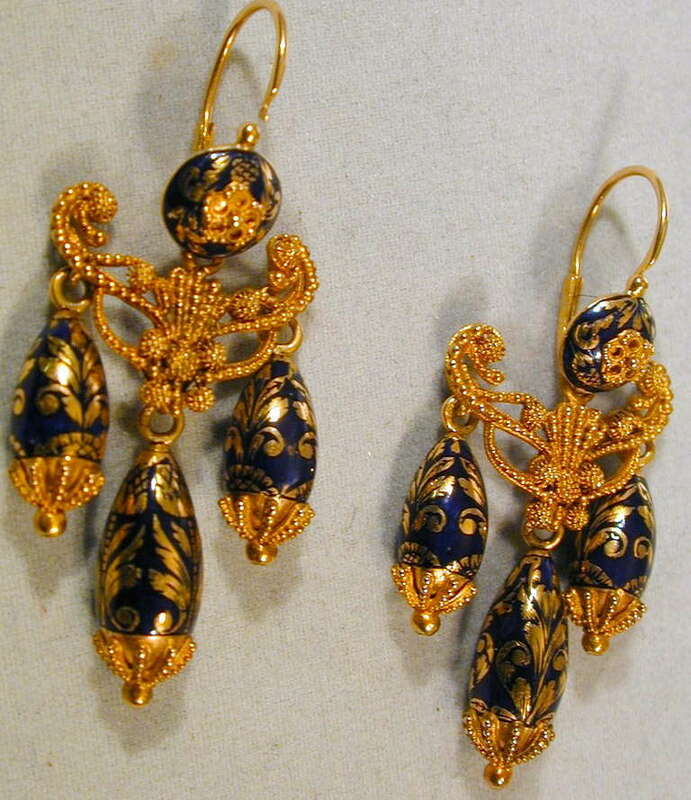 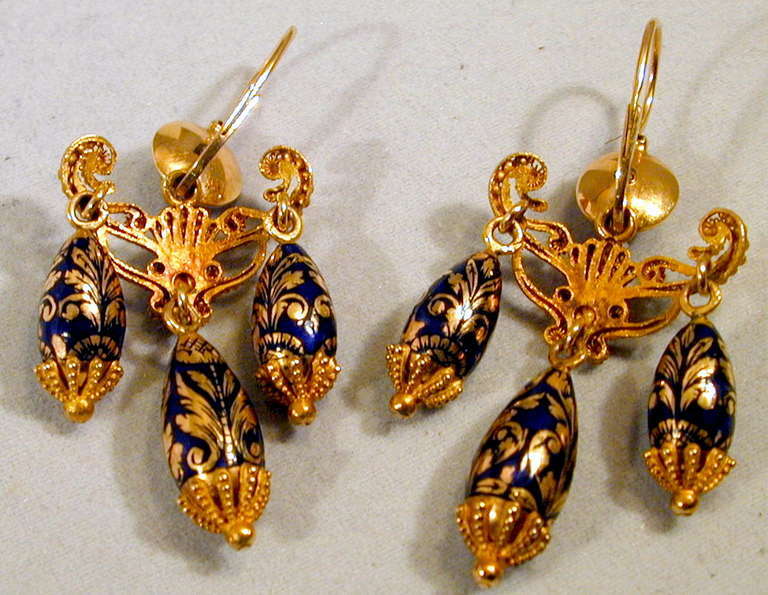 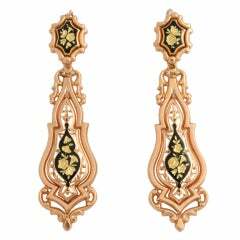 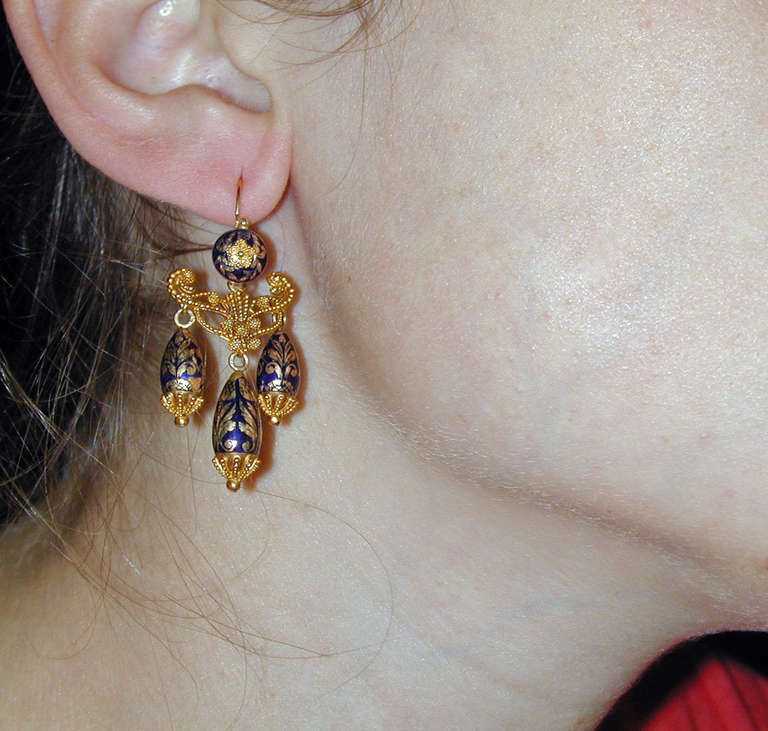 Elegant Georgian girandole earrings in 15K gold and cobalt enamel. 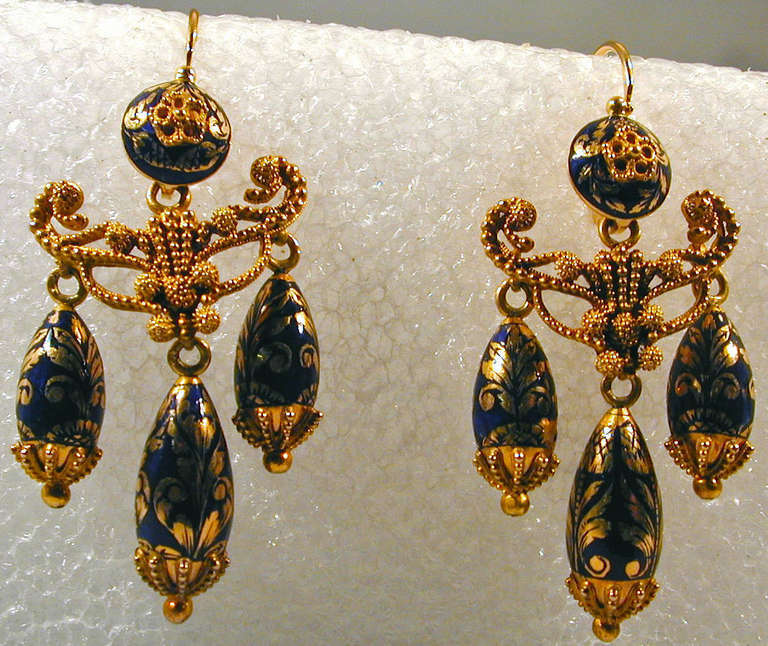 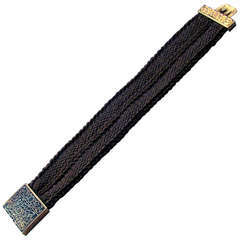 The gold work is an elaborate Etruscan design decorated with tiny balls. 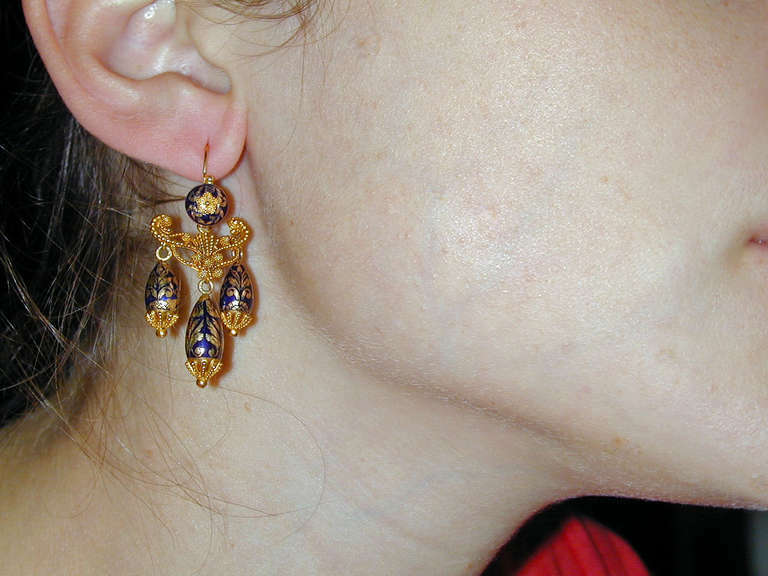 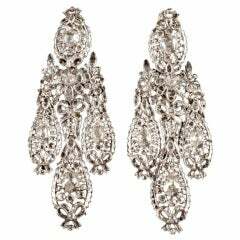 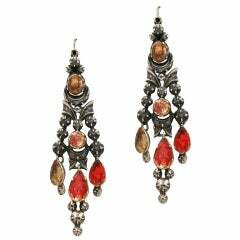 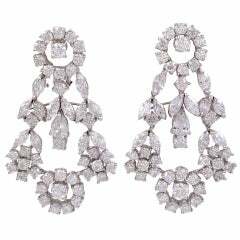 The earrings measure 1 3/4" long and 7/8" wide.